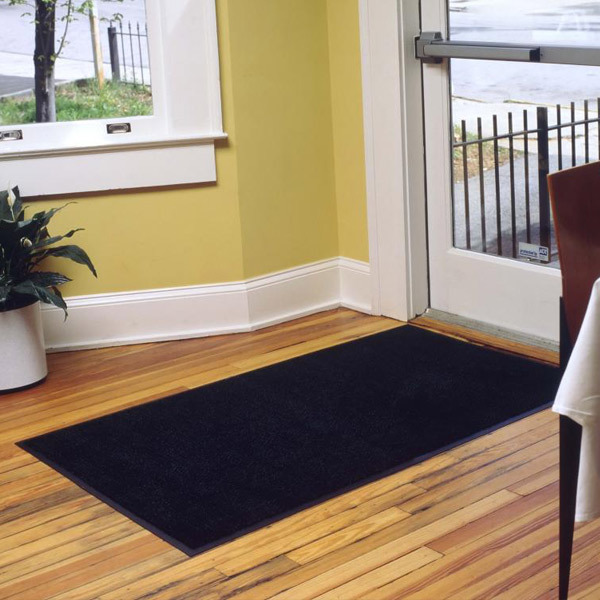 With the increasing vogue of full glass receptions and offices, door mats can quickly fade from ultra violet exposure to look cheap and old. 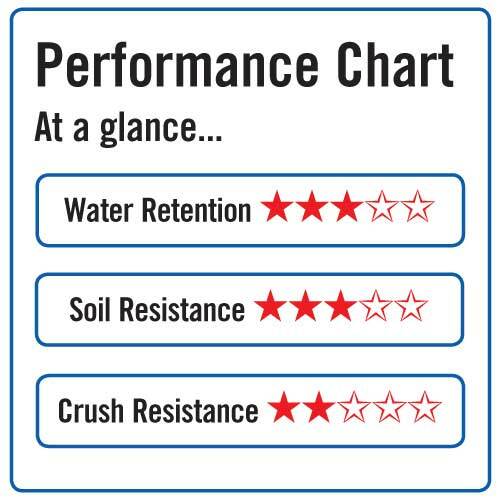 NBB Colourlast Floor Mats are designed to maintain its appearance by staying true to its original colour, whilst providing a barrier in your entrance against moisture and debris. 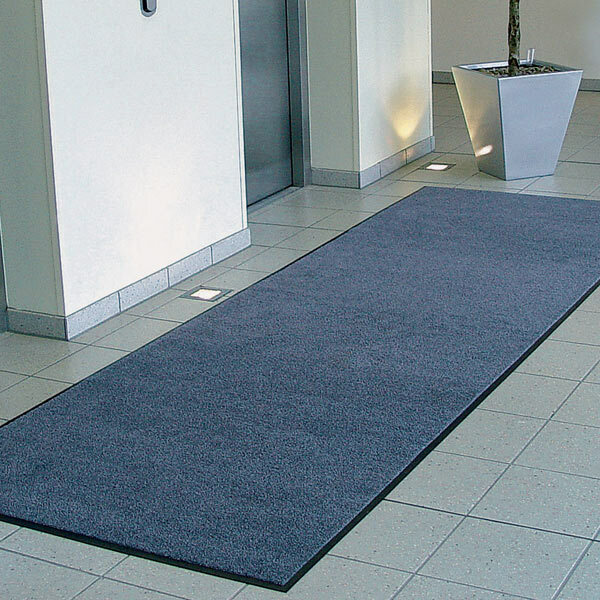 Strong nylon fibres resist heavy traffic, you can even throw this floor mat in a washing machine and not see it fade! 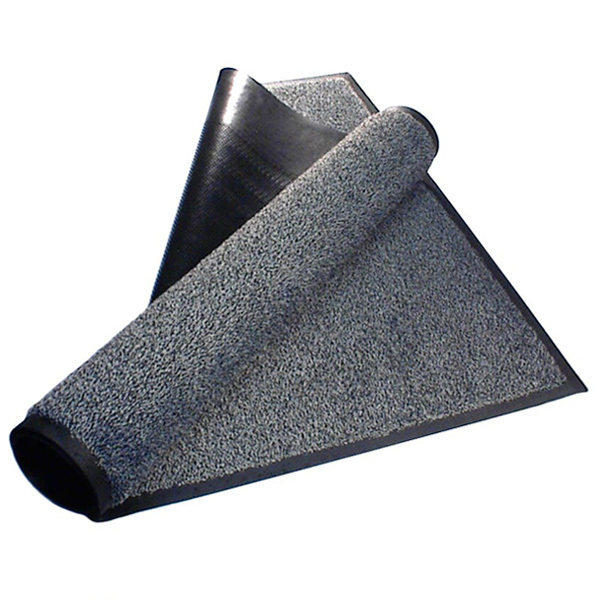 The thick rubber backing is anti-slip and its "grip" teeth prevent it from crawling when placed upon carpets or smooth floors. 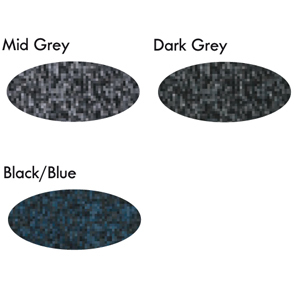 Available in: Black/Blue, Mid Grey and Dark Grey.